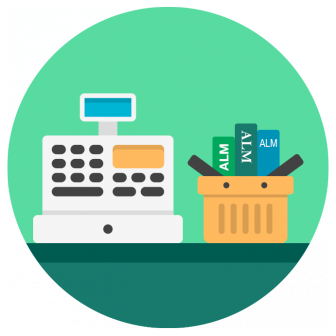 When it comes to purchasing an Application Lifecycle Management solution, the decision to make the transition from using a clunky ecosystem of isolated, standalone software solutions (MS Office, bug trackers, etc) to using an integrated, efficient ALM platform that provides complete traceability is just the first step. That's when the real work starts. Getting everyone to buy in to the idea of ALM can be difficult enough. Developers like to stick to their tried and tested software tools, while upper management usually isn't particularly happy about the time and effort investment that implementing an ALM solution generally involves. However, the benefits of using integrated Application Lifecycle Management are well documented, and ROI can be calculated relatively simply. The real question, then, is which ALM solution to buy? With dozens of ALM software available on the market, picking the solution that best suits your organization's needs and custom internal processes can be a headache. After the evaluation and inspection of features as outlined below, it definitely pays to shop around and read reviews of every tool that you'll be considering. ALM is a complex issue, and your intuition may not always be right. Some big traditional companies do offer complex ALM suites, but some users say these are excruciatingly difficult to configure to suit custom processes, and support also tends to suffer from the high number of enterprise users. 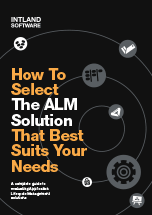 Other ALM solutions may have the preferences of certain types of customers in mind, with not much flexibility offered for nontraditional or otherwise complex processes. There are, of course, integrated ALM platforms that allow a high degree of flexibility to create a custom ALM environment. Finally, there are those software platforms that claim to be integrated ALM, but in reality are separately grown solutions "sandwiched" together via firmware. To make matters more complicated, some ALM vendors may be considered "independent" while others are subsidiaries of large enterprises. This could potentially affect their strategic decisions on how to develop their tools in the future, as well as the level and quality of customer service they can provide. Quite naturally, any of these tools could be the perfect solution for you: but how to determine which ALM platform is the right one? Our comprehensive ALM evaluation guide aims to provide ample support for you in this challenge – click the link to access it. Another resource those in the process of purchasing complex IT solutions rely on are reports from independent analysts. Analyst companies such as Ovum and Gartner are continuously monitoring the market to see what's new, and are releasing periodical reports on the best ALM solutions available on the market. These reports contain comprehensive profiles for each ALM platform, and can therefore be used to compare them. Gartner calls their report Magic Quadrant, while Ovum named theirs Decision Matrix. These reports are excellent sources of information as they are created by experienced, knowledgeable and above all, impartial professionals. ALM platforms that achieve positive grades / reviews in these reports can be trusted as reliable, high quality solutions by established vendors. Starting your research with these reports is generally a good idea that could help you save a great deal of time and effort in the decision-making process. Download Ovum Decision Matrix: Selecting an Application Lifecycle Management Solution, 2016–17. To quote from the report "Ovum was impressed with codeBeamer", and Europe's largest analyst firm recognizes codeBeamer as a market leader in Application Lifecycle Management. Intland Software is the only independent ALM vendor in the top 4 of this Decision Matrix. A combination of the ALM evaluation guide and a relevant analyst report should provide you with the necessary knowledge to start off an efficient ALM tool evaluation process. If you have any further questions, please feel free to contact us.